Whether you live in an area of the country that experiences heavy storms or light showers, it’s smart to invest in an umbrella that gives you the best shot at remaining dry as you go about your day. With a Better Brella: The Reverse-Opening Umbrella, keep yourself from getting soaked for $18.99. Although it might look like an ordinary umbrella, the Better Brella turns upside down and inside out when it closes to form a waterproof cone. Meaning, when you’re walking around in the rain and need to go into your office building or car, it opens away from you so you can easily pour the water out without getting wet. Even better, it stands up to strong wind, which is incredibly helpful in making sure you stay dry during storms. Also, the umbrella — coming in black, red, or blue — is easy to handle. This means you won’t have to struggle with opening or closing it when you need it the most, ensuring you’re always ready to tackle whatever the day throws your way. 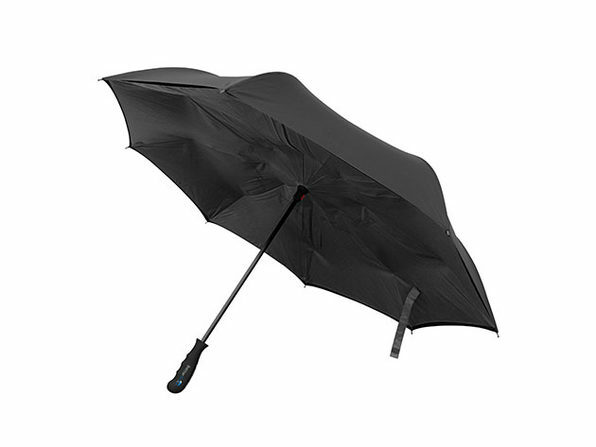 Stay dry during any rainy season with a Better Brella for just $18.99, 36 percent off its original price, only in The Daily Caller Shop. Plus, save an additional 10% with the coupon code MADMARCH10.